Many in the media, the Obama Administration, and some members of Congress are trying to sell the idea that the regime in Cuba is normal, but the facts in evidence demonstrate otherwise. 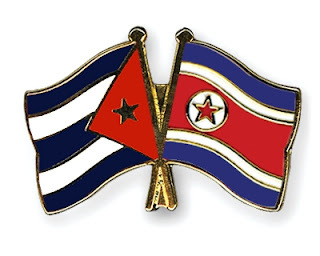 If there is one country that Cuba shares a number of traits in common with, it is North Korea. 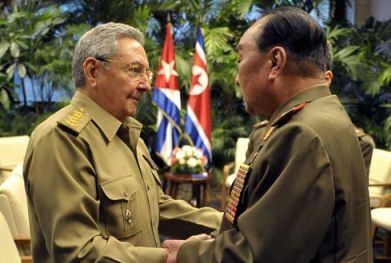 That the Castro regime was caught in 2013 smuggling 240 metric tons of weapons to North Korea in violation of international sanctions should not be a surprise considering the outlaw nature of both regimes. However, the media coverage on Cuba and North Korea could not be farther apart. For example, Time Magazine on October 29, 2015 reported that "North Korea has sent tens of thousands of its people to countries around the world to work in conditions that amount to modern slavery, according to a U.N. researcher who monitors human rights in the totalitarian state." The number in its headline was that 50,000 North Koreans work overseas in "slave-like conditions." Both Cuba and North Korea make outrageous health care claims but again media reaction is dramatically different. Meanwhile, the Castro regime in Cuba does the same thing and the media reporting is quite different. According to sources friendly to the Castro regime place the number of Cuban doctors sent by the regime on an "international mission"at 31,000. Other Cubans, also working in "slave-like conditions" have been sent abroad to work and provide hard currency for the Castro regime. Cuban doctors in Cuba make approximately $25 dollars a month in salary. In 2008 The Miami Herald reported that "more than 31,000 Cuban health workers -- most of them doctors -- who toil in 71 countries brought in $2.3 billion last year, ..., more than any other industry, including tourism. Most of them are paid $150 to $375 a month, a small percentage of the cash or trade benefits the Cuban government pockets in exchange for their work." North Koreans working abroad are making between $120 and $150. "I was told that during a meeting of the [Communist] Youth, an Olympic athlete stood up and said he thought doctors should work extra shifts for free. The whole world applauded, and the motion passed unanimously. There is no union to defend doctors in Cuba. Many of us would wake up around midnight from hunger pains, and no one ever gave us anything; maybe a slice of bread, at the most." In 2006 the case of Cuban workers forced to work 112 hours a week for 3 cents an hour in Curaçao made the news. The workers had been unpaid; instead their compensation was deducted from Cuba’s debt to the Curaçao Drydock Company. Three workers sued the company accusing "Curaçao Drydock Company of subjecting them to forced labour in a lawsuit in US federal court under the Alien Tort Claims Act and other laws. They alleged that the company conspired with the Cuban Government to traffic them and other workers to Curaçao to work for Curaçao Drydock Company as part of a forced labour programme." The case went to trial only on the issue of damages. On 31 October 2008 the court awarded a total of $80 million in damages to the plaintiffs, saying there was “overwhelming and uncontroverted evidence” of the plaintiffs’ claims. The judgment stated that this amount reflected the severe physical and psychological injuries of the plaintiffs, the defendant’s gross misconduct, the universality of the offense, the gains made by the company from the conduct and the potential deterrent effect it could have on other companies. In July 2013, the plaintiffs sought to enforce the US judgement against the defendant's assets in Singapore. The court of first instance declared the US court decision enforceable in Singapore, and this was confirmed by the High Court of Singapore in June 2015. "People who disobey the government, and speak to the press about the country, are not allowed to return. The regime owns your passport. They can prevent you from reuniting with your family in a new country." The regime in Cuba remains totalitarian and systematically terrorizes and violates the rights of all Cubans, all the time. This is an abnormal regime and normalizing relations with it will not lead anywhere good. Nor will closing the door to fleeing refugees. Last night I attended the wake for Jorge Valls Arango paying my respects and expressing my condolences to his family members. Listening to anecdotes from family and friends. The funeral card contained the Virgin of Charity with the three Juans on one side and The Prayer of St. Francis of Assisi on the other side. This morning a Requiem Mass was held at St. Kevin Church for Jorge, who was a man of letters who rejected materialism. Jorge refused a million dollar offer from Universal Studios to make a film based on his life explaining to a shocked relative at the time that money is debasing. The conversation took place after Val Kilmer appeared at his modest apartment in New York City, since the letters sent by Universal Studios had gone unanswered, to verbally make the offer only to have Jorge respond repeatedly: No. Jorge Valls conceived happiness as the cultivation of virtue and unhappiness that which tended towards vice. In order for Jorge Valls to be happy with himself, as he perceived it, he had to reject the million dollar offer because of the negative impact the money and notoriety would have on his person. there lies a lighted space. further on, there is an even deeper gloom. Could they be made of kerosene inside? Inevitably, I`ll wake up again. The next time I met him was at Florida International University in the early 1990s sitting near the student union and struck up a conversation with him. Traveling by bus through Miami I would occasionally run into Jorge Valls and engage with him in conversations on Cuba, the Caribbean, human rights, and theology. Over the past 25 years had the opportunity to attend teach ins, poetry readings, and gatherings led by Jorge Valls. 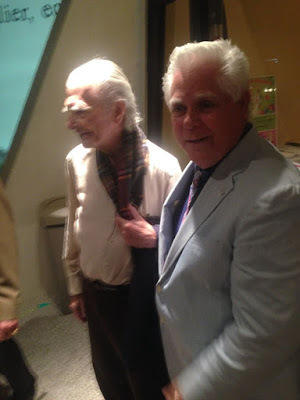 On a couple of occasions was honored to have him as a guest on a radio program. He was truly an original thinker and a man of great faith and courage.We often disagreed on policy questions but not on the fundamentals. The last time I saw Jorge Valls was on March 13, 2015 at Our Lady of Charity to attend a Mass in memory of José Antonio Echeverría. We chatted briefly, exchanging pleasantries and agreed to catch up soon. Sadly, it did not come to pass. "Who then is a Stoic? As we call a statue Phidiac which is fashioned according to the art of Phidias; so show me a man who is fashioned according to the doctrines which he utters. Show me a man who is sick and happy, in danger and happy, dying and happy, in exile and happy, in disgrace and happy. Show him: I desire, by the gods, to see a Stoic. You cannot show me one fashioned so; but show me at least one who is forming, who has shown a tendency to be a Stoic." Jorge Valls was a man that confronted cancer for over two decades, on more than one occasion all around him thought he was going to die, and went through the ordeal a happy man. He defended a friend, at great danger to himself and spent 20 years and 40 days in prison for his troubles but remained throughout the ordeal a happy man who aided others, describing prison as the one place to speak freely in Cuba. Released from prison in 1984, he was forcibly exiled for thirty years, Jorge Valls endured his separation from his homeland and continued to teach, pray, help others, and was a happy man. Epicetus would find in the life that he lived that Jorge Valls was a stoic. His passing is a great loss for all of us lucky enough to have known this man. The Cuban Stoic who triumphed over totalitarianism in all its forms. 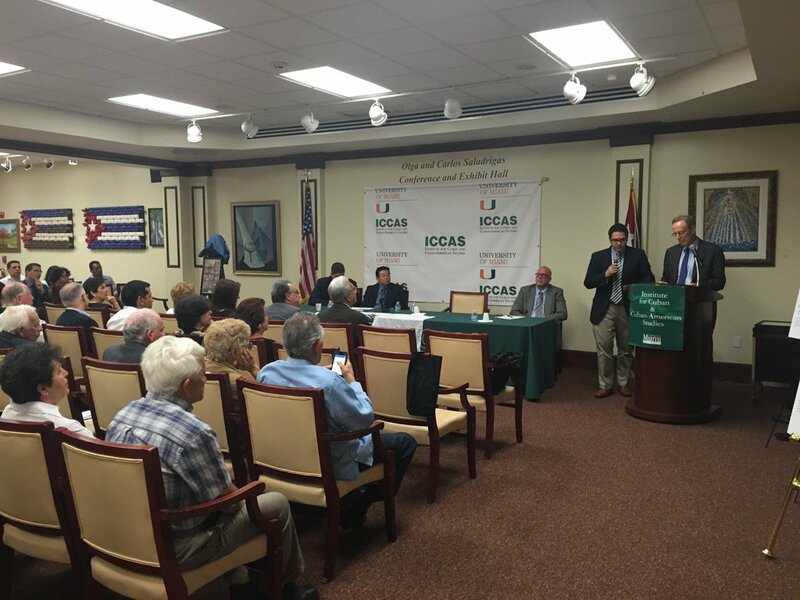 I am humbled to speak about the future of democracy in Cuba in the presence of such great heroes of the freedom struggle in Cuba as Antunez, Berta Soler, Antonio Rodiles, Juan Carlos Gonzalez Leiva, and Rolando Rodriguez Lobaina. It’s also a great honor and pleasure for me to speak at the 25th anniversary conference of the Directorio Democratico Cubano. I’ve worked closely with Orlando Gutierrez and the Directorio for many years, and they have truly kept the flame of freedom alive for the Cuban people. When Cuba becomes a free country, as I know it eventually will, Orlando, John Suarez, and others at Directorio will deserve to be recognized for their historic contribution to the cause of human freedom. I want to speak this evening primarily about the prospect for democracy in Cuba. But before I do that, let me say a brief word about the global movement for democracy. While this movement is resilient at the level of civil society, we are nonetheless in the midst of what has been called “a democracy recession” that has three basic dimensions. The first is the failure of democratic transitions in many third-wave and Arab Spring countries, democratic backsliding in countries as diverse as Thailand and Turkey, and continuing problems of corruption and poor governance in many countries. The second is what we have called an authoritarian resurgence, as Russia, China, and other authoritarian countries assault civil society, block democracy assistance, undermine democratic norms, and aggressively push anti-democratic ideas and values. And the third is a crisis of confidence, political dysfunction, and geopolitical paralysis in the advanced democracies of Europe and the United States. Their passivity in the face of mounting international threats has emboldened the opponents of liberal democracy, which are rushing to fill the vacuums created by Western weakness and retreat. I won’t say more about this right now, except to note that if the Cuban democracy movement succeeds in transforming Cuba, it will have a profound and positive effect on democracy far beyond the borders of Cuba, given the exaggerated and perverse role that Cuba has played in Latin American and global politics since Castro seized power in 1959. Now let me turn to Cuba. When President Obama and Raul Castro last December 17 announced their intention to normalize relations between the United States and Cuba, the opposition leader Manuel Cuesta Morua said that the opening “represents the end of the ‘epic’ stage and the beginning of the political stage for civil society” in Cuba. Whatever one thinks of the opening and the way it has been handled – the reluctance of the US to use its leverage to pry open political space in Cuba, and Castro’s efforts to secure greater legitimacy and economic advantages for Cuba without liberalizing politically or reducing repression – it has created a new situation, and that’s where we must begin in thinking about strategy and tactics for the future. By the epic stage, I think Cuesta Morua meant a period when the only form of meaningful political expression was resistance to a totalitarian dictatorship. In the political stage that we’ve now entered, different and more varied forms of struggle are both possible and necessary. The first thing to recognize is that Cuba has not entered a period of democratic transition. The Cuba regime is very different from the authoritarian military dictatorships in Chile, Brazil and other countries that underwent a democratic transition during the 1980s. Such regimes, they write, are strikingly resistant to democratization because they have destroyed all independent power centers, social institutions, and economic structures. In Cuba’s case, the regime also significantly weakened, even if it did not completely eliminate, the Church. In addition, such regimes have strong ruling parties and cohesive mass organizations; they are resistant to coups because of the overlap between the ruling civilian and military elites; and they have powerful coercive structures that they don’t hesitate to use. Therefore, we have to start by recognizing that the Cuban regime is more deeply rooted than the Latin American military dictatorships, and it does not allow the pluralism or have the internal divisions that had a lot to do with the successful democratic transitions in those countries three decades ago. There is one other feature that is different, and it is that Cuba – because of its revolutionary and anti-imperialist posturing – has not been subject to the same degree of international pressure that was put on the Pinochet dictatorship in Chile or the Apartheid regime in South Africa. Relatively speaking, the Cuban dictatorship has been given a free pass by the international community, as demonstrated by the silence on human rights violations it regularly commits and the fact that Cuba has been able to play a leading role in UN bodies, the nonaligned movement, and other international structures. Yet the Cuban regime also has some very powerful vulnerabilities. Chief among these are its proximity to the United States and the many cultural affinities between our two countries – music and baseball being just two of them. The denser these ties, the greater the internal pressures will be for freedom and democratic normalcy in Cuba. Levitsky and Way write that reducing confrontation and polarization can undermine the cohesion of a revolutionary dictatorship, which explains why the Castro regime is actually very nervous about the future and has stepped up repression in the period since the opening with the United States. The number of political arrests in the first nine months of this year was 5.146, well over twice the number of arrests recorded in all of 2010. There were 882 arrests last month alone. Again, this does not indicate the strength of the regime but its vulnerability. There is also the additional factor of what we might call the inevitable erosion of totalitarianism, which affects even revolutionary totalitarian regimes. Totalitarian erosion is not the same thing as liberalization, but it does lead to more space for people at the bottom and less control from the top. Cuba today shares some of the features that we saw in the Central European communist dictatorships in the period before 1989. These include a limited increase in economic and cultural pluralism, even in the absence of political pluralism; a significant weakening of the regime’s political legitimacy as a result of its economic failures and ideological exhaustion, even as it continues to mouth the old revolutionary rhetoric; the decline in popular mobilization and the hollowing out of the mass organizations in terms of their internal cohesion and the loyalty of their members; and the replacement of charismatic leaders by technocrats, even if the old leaders have not yet passed from the scene. The Polish philosopher Leszek Kolakowski prophetically called attention to the importance of these changes at a NED conference in 1987, noting that they opened new possibilities for change even if they had not yet altered the core principle of the system, which is the monopoly of political power by an unaccountable communist party dictatorship. Developments in Cuba have followed this pattern, as a result of which the Cuban democracy movement has been able to establish what Kolakowski called “enclaves of civil society” within the totalitarian system, which is what the Polish movement had succeeded in doing in the decade before the fall of communism. One core goal of the democracy movement in Cuba should be to build and enlarge these enclaves of civil society. Thus, while we are not yet at the stage where we can anticipate the start of a process of democratic transition, there has already been a transition from totalitarianism to a post-totalitarian system, which opens the possibilities for further erosion and political opening in the future. I want to say here what a personal joy it is to have Paya’s daughter Rosa Maria with us this evening. I have written and said many times that her father’s death was not accidental, and there needs to be a full and independent investigation to determine how and why he was killed. I think the regime sees two possible models that it would like to follow. One of them is the China-Vietnam model of economic liberalization while maintaining the communist system of control. The second model is establishing a hybrid regime, sometimes also called competitive authoritarianism. Putin a few years back called it “managed democracy,” and what Chavez called “Bolivarian democracy” in Venezuela is another example of a hybrid regime. The Burmese military also wants to follow this model. It permits a charade of formal democratic features, such as fraudulent elections, a few NGOs, and some limited independent media. But the regime continues to maintain its hegemonic political control. The Cuban regime probably prefers the first model because the second involves more risks. A hybrid system has something in common with what Abraham Lincoln called “a house divided against itself,” a system that Lincoln said “cannot stand.” Yet the fact that Raul Castro has announced that he will step down in 2018, and that the regime is planning to amend the electoral law as part of a process to choose younger leaders, suggests that the regime might opt for the hybrid model. Though the regime has no intention of allowing a genuine opening, or even considering relinquishing power at some future time, I think it has nonetheless started a process that cannot escape the logic of democratic transition, even if the conditions for a real transition are not yet present. I find it interesting that when NED asked Cuesta Morua and other dissidents to spell out the key principles that should guide the democracy movement in Cuba, their points were all consistent with the established principles that have guided real transitions in the past. The first is that existing coalitions and opposition groups in Cuba should, without merging, work together based on common goals. We all know that there are different tendencies within the opposition movement in Cuba, which is normal. Such differences exist in every opposition movement fighting for democracy in a dictatorial country. In Franco’s Spain some people wanted to reform the system, while others wanted a complete rupture with it. The point is that the opposition, while not uniform, should still try to preserve unity, which is much more important than uniformity in any case. Diversity is a strength. The second principle, which flows from the first, is that it is important to welcome and support different strategies for advancing democracy. One never knows what will provoke change, and it’s important to recognize that all can do their part in the democratization struggle. 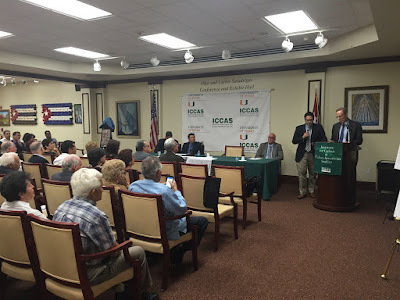 The third principle is to acknowledge that even though many democracy activists and supporters abroad are critical of the policies of the United States and other governments toward Cuba, Cuban democrats should not isolate themselves from the international community but should try to build ties of dialogue and cooperation. The fourth principle is to observe the politics of what is possible, which is the best way to move toward the politics of what is desirable. This means recognizing the inevitability of gradualism, the necessity for pragmatism, and the need to take advantage of opportunities when they present themselves. Being pragmatic does not mean that there is not also the need for mobilization and resistance. As is the case with every movement for democracy, there is the need for both militancy and conciliation. Struggle and organization will be needed to open the way for eventual negotiations and a real transition. And finally, the fifth principle – and this one is addressed especially to the supporters of the Cuban movement outside of Cuba – is that supporting initiatives that emerge from within Cuba is the best way to come into close contact with the Cuban people. All these principles make sense, in my view, and in closing I would just add a few of my own. One is that we have to persuade people in the U.S. and elsewhere not to accept a hybrid regime in Cuba as an acceptable alternative to dictatorship. Competitive authoritarianism is arguably marginally better than a full-blown dictatorship, but it’s not democracy, and if democratic leaders in the United States, Europe, and Latin America appear to embrace it, they’re going to betray the Cuban people and undermine the moral and political case for democracy. A second is that we must do everything we can to end the free pass on human rights that the Cuban dictatorship has been given by the international community. Whatever one thinks of the normalization of relations between Cuba and the U.S., it may actually make it easier to mobilize support for democracy since Castro apologists will now find it harder to blame the United States for all of Cuba’s problems. The third is to insist upon the observance of democratic norms and to oppose any attempt to apply a double standard to Cuba. If the regime amends its laws to hold an election after Castro steps down in 2018, then let us insist that it be a real election, free and fair, with the opposition being able to organize and campaign, with a level playing field, and with the whole process monitored by international observers. And the fourth is that we must help the opposition strengthen its international relations, so that there is a growing body of support in Latin America for a real transition in Cuba, and that the Cuban democratic movement have a voice in the process of establishing a new relationship between Cuba and the European Union. Obviously there is also a big job to do in the United States as well. I think that in the end Boitel will win. But for that to happen, the opposition will have to learn how to supplement courage and implacable resistance to oppression with strategic thinking and political organization, something it is already beginning to do. Despite all the difficulties, I think that the conditions are favorable for their struggle. Their cause is just, and they are up against a regime that has lost whatever raison d’etre it may once have had, is deeply corrupt, and now appears ideologically bankrupt to its people and to the world. Cuban democrats deserve the support of the global democracy movement. Because of the poisonous role that Cuba has played in international politics for more than half a century, a democratic breakthrough in Cuba will have a very broad impact. It will be a major step forward for democracy in the world, and it will give new momentum to the struggle for democracy everywhere. As we celebrate the Directorio’s 25th anniversary, let us reaffirm our solidarity with the Cuban people, and pledge that we shall never relent until Cuba becomes a democratic country, with liberty and justice for all. 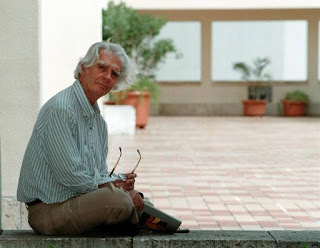 Jorge Valls, a poet and former Cuban prisoner of conscience who had unjustly spent 20 years and 40 days in a Cuban prison passed away last night in Miami. He'd fought against two dictatorships and in favor of human rights and dignity and paid a heavy price for being a free man with a conscience. He explained what happened below. 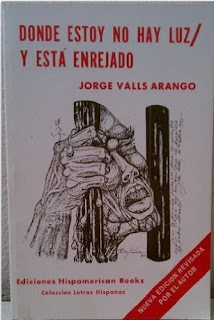 Six years ago in 2009, Jorge Valls sat down and gave an interview in which he discussed his life, human rights and Cuba. It is available online here. In 2013 at a gathering of poets at an event called "Disobedient Poetry" he gave a reading from his collection of poems written from prison between 1967 and 1970 titled Donde estoy no hay luz y está enrejado (Where I am there is no light and there are metal bars). Jorge Valls was also interviewed in the 1987 documentary on the human rights situation in Cuba titled, Nobody Listened giving a powerful testimony. There will be a wake for him Monday, October 26 at Memorial Plan located on 9800 Coral Way, Miami, Florida beginning at 5pm. Mass will be celebrated for him the following day at 10am in Saint Kevin Church , on 40th street and 127 avenue. For more information contact: (305) 227-3333. 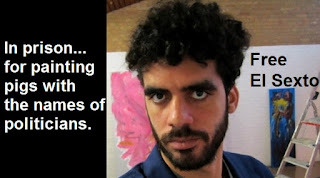 Danilo Maldonado "El Sexto" was arrested on December 25, 2014 for trying to carry out a perfomance art piece critical of the Castro brothers. Nearly 10 months later Danilo Maldonado is back home with his mom, who campaigned for his release, in the picture above. Sadly many otherzs are still behind bars, including at least one other artist, the rapper Maikel Castillo Pérez whose stage name is Maikel Oksobo - El Dkano. Maikel was sentenced to a year in prison in Havana on January 28, 2015. He was targeted for having used music to express his dissenting political opinions. 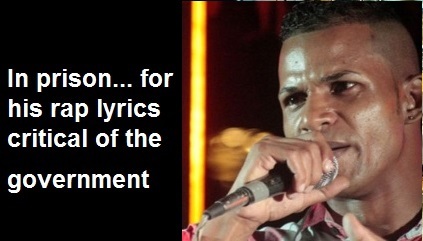 Maikel was sentenced under a charge known as ‘peligrosidad predelictiva’ (‘pre-criminal dangerousness’).The 31-year-old’s lyrics are known for criticizing the Castro regime. He once described his style as that of someone who “doesn’t make concessions with a system full of liars.” In the video below 'Por ti señor' (For you Mister) the rapper challenges the record of Fidel Castro and describes how the dictator has failed Cubans. In August 2015 another rapper, El Funky, and a friend of Maikel made public the video " Pensar diferente en Cuba es un problema" (Thinking different in Cuba is a problem) calling for the jailed rapper's freedom. Between 2001 and 2003 the Cuban Democratic Directorate began a new decade of activism shifting gears, taking risks and raising the challenge to the Castro dictatorship. As Directorio marks 25 years of defending human rights in Cuba and supporting the opposition in the island's efforts to transition to a free and democratic society it is worthwhile to reflect on the midpoint of the organization's history between 2001 and 2003 when new traditions were established and courageous actions and positions taken in the continuing nonviolent struggle for liberation. In 2001, the first Pedro Luis Boitel Freedom Prize was awarded to Juan Carlos González Leiva for his work as a human rights defender and began a tradition that would continue for the next 15 years and that will be observed this Thursday at 6:30pm at Bacardi House. Without seeking permission from the Cuban government, Javier de Céspedes, President of the Cuban Democratic Directorate, traveled to Cuba in May of 2001 and met with democratic opposition leaders. There, he signed the Varela Project in Oswaldo Payá’s home in Havana. Javier also signed the Agreement for Democracy at the Cuban capitol building in a show of defiance to the island’s illegitimate government. In August of 2002 in Havana, Cuba Lorenzo De Toro III, Vice-president of the Cuban Democratic Directorate entered Cuba to hand over humanitarian assistance to opposition activists on the island. In Miami a video is made known where Lorenzo appears with Bertha Antúnez Pernet, president in Cuba at the time of the Pedro Luis Boitel National Civic Resistance Movement. In January of 2003 the Cuban Democratic Directorate hosted the visit of Oswaldo Payá Sardiñas to Miami, Florida while demonstrating their continuing support for the Varela Project. 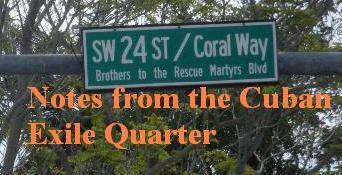 A month later, on February 11, 2003 journalist Hank Tester in a NBC6 story titled " Big Trouble In Little Havana : Raw Emotion Is At Heart Of Discussion, wrote about the Directorate's support for the Christian Liberation Movement leader at a time when such a position was considered controversial in some quarters. "Groups with memberships that skew a younger population of Cubans, such as the Directorio Democratico Cubano run by Orlando Gutierrez, have made numerous people-to-people contacts on the island and with political prisoners. They have also closely aligned themselves with dissidents who have formed independent libraries and Gutierrez' organization has been funneling hundreds of books to them from the US. Gutierrez has avoided the spotlight and the wrath of the hard-liners by keeping his organization low profile until recently when the Directorio hosted Oswaldo Paya's visit in Miami." 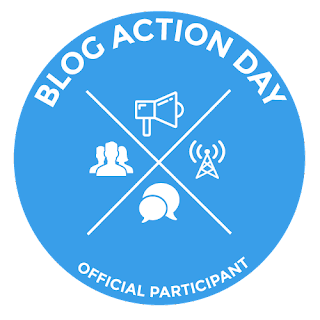 It was also during this period of time that the Cuban Democratic Directorate began a systematic effort to get the voice of victims of repression heard at the United Nations Human Rights Commission. Adjunct National Secretary, Janisset Rivero was the pioneer in this action, training other activists at Directorio who would continue this work in later years and would be present in Geneva during the 2003 Black Cuban Spring. On Thursday, October 22, 2015 at 6:30pm the 2015 Boitel Freedom Laureates will be announced at the Institute for Cuban and Cuban American Studies at Casa Bacardi in the University of Miami located at 1531 Brescia Avenue in Coral Gables. Entrance is free. 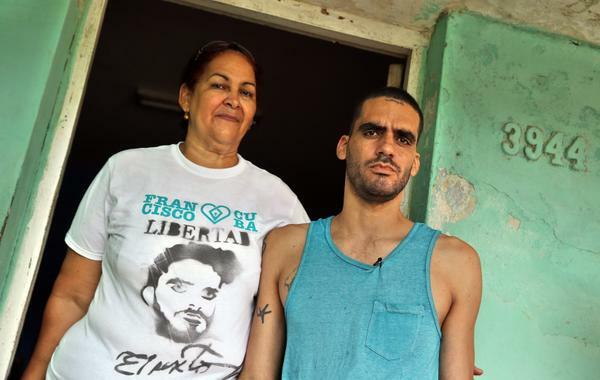 Cuban graffiti artist Danilo Maldonado Machado (‘El Sexto’) re-started his hunger strike on 16 October after the authorities failed to uphold their promise to release him by 15 October. He is a prisoner of conscience and must be released immediately and unconditionally. Danilo Maldonado Machado, known by his artistic name ‘El Sexto’, resumed his hunger strike on 16 October, according to his family, to protest the failure of the authorities to release him on 15 October as previously promised. He is being held at the Valle Grande prison on the outskirts of Havana, the capital. On 8 September Danilo Maldonado Machado initiated a hunger strike to protest his detention without trial in Cuba since December 2014. He ended it on 1 October 2015 after officials promised that he would be released unconditionally in 15 days if he stopped the strike. Danilo Maldonado Machado is believed to be accused of “aggravated contempt” after being arrested for transporting two pigs with the names “Raúl” and “Fidel” painted on them, which he intended to release in an art show in Havana’s Central Park. Local activists believe Danilo Maldonado Machado’s continuous detention without trial seeks to sanction him for his activism and send a message to other activists and dissidents. In recent months, his lawyer has requested a modification of the precautionary measures seeking the release of Danilo Maldonado Machado during the judicial proceeding, but it was denied by the prosecutor. A new demand was presented in late September and is awaiting a new decision from the office of the public prosecutor. I have enjoyed your music over the years and your commitment to human rights issues. Especially the time you spent curating the Art for Freedom Project in January of 2014, an initiative that promotes art and free speech as a means to address persecution and injustice around the world. I also saw in the news that you've visited Cuba twice over the past week and met with Mariela Castro, dictator Raul Castro's daughter, while you were there. Cuban human rights defenders need your help and with your access to the upper echelons of power in the Castro regime perhaps you are in a position to save the life of a human rights defender, and free an imprisoned artist. This dictatorship has had a track record of responding to requests by high profile visitors that in the past has resulted in the freeing of political prisoners and human rights defenders who are deathly ill. The human rights situation in Cuba is deteriorating. The level of violence against human rights defenders has escalated in recent years on the island, along with the extrajudicial killings of national human rights figures. A dramatic example of this took place on on July 22, 2012 when state security killed Oswaldo Payá Sardiñas and Harold Cepero Escalante. 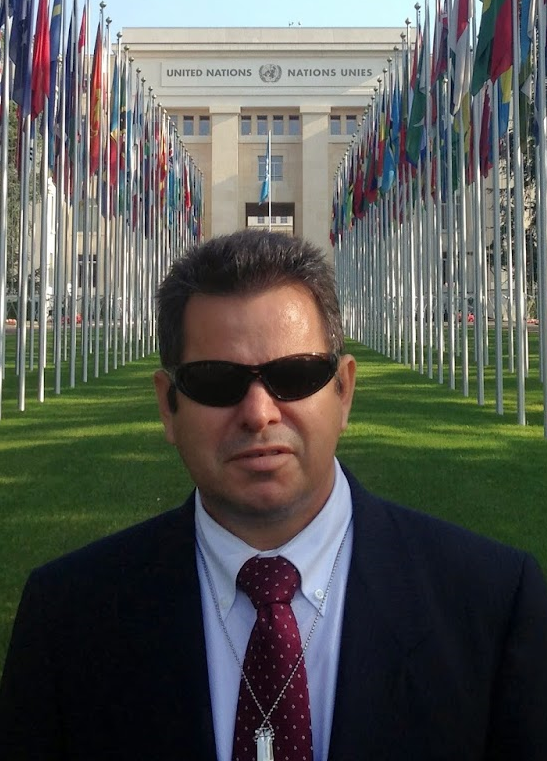 Presently there is an environment of impunity in Cuba that could be impacted upon by your good offices. There are two urgent cases you could raise with the individuals you met in Cuba that would make a difference and most likely save two lives and favorably affect many more. First, there is the case of a government reformer turned opposition activist whose life hangs in the balance. On May 24, 2015 human rights defender, Sirley Ávila León, was the victim of a brutal machete attack suffering deep cuts to her neck and knees, losing her left hand, and could still lose her right arm. 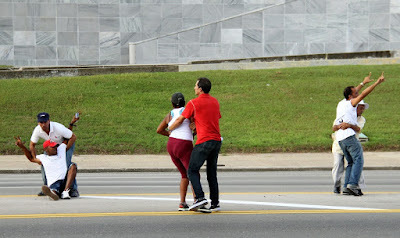 The man who attacked her with the machete appears to have done it on the orders of Cuban state security, and although arrested and tried in a judicial process (controlled by the dictatorship) the attacker was sentenced to six years in prison but granted a pass to leave the prison when he likes. She is in desperate need of adequate medical treatment to make a recovery. Second, Danilo Maldonado, a Cuban artist whose art work is an exercise in free speech addressing persecution and injustice in Cuba has been jailed since December 25, 2014 without a trial. Earlier this month following 22 days on hunger strike Danilo was told by state security that he would be freed on October 15th thus ending his fast. The date came and went and Danilo remains in prison and has resumed his hunger strike. Amnesty International has recognized him as a prisoner of conscience and expressed its disappointment at the failure of the Castro regime to free this artist. The Danish human rights group, Free Muse has also called for his release. Please speak up for Sirley and Danilo and help save their lives. The Talmud teaches, "whoever saves a life, it is considered as if they saved an entire world." Help to save two worlds. Man who attempted to murder dissident gets six years but has a pass to leave prison when he wants. Cuban human rights defender, Sirley Ávila León, age 56, was gravely wounded in a machete attack on May 24, 2015 at 3:00pm by Osmany Carrión who had been "sent by state security thugs." She lost her left hand while raising it to block a machete blow to the head that would have surely killed her wielded by Osmany Carrión. Carrión continued the attack striking again at her head and she blocked the blow with her right arm which the machete cut deep and through the bone, breaking it. At the same time Osmany's wife grabbed the severed hand and threw it into a filthy pig pen contaminating it so that it could not be re-attached. The attack went on with further machete blows on both legs. A detailed breakdown of the event was posted previously on this blog, and is repeated here for one simple reason. 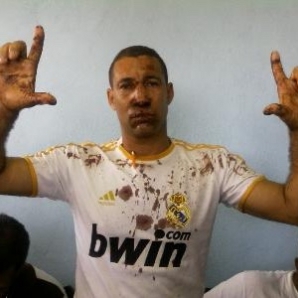 In Cuba where there is not an independent judiciary and all is subject to the whims of the dictatorship the nature of the attack and the "judicial process" involving this case did not charge Osmany Carrión with aggravated attempted murder but with the lesser charge of "bodily injury" and sentenced him to six years in prison. However he has a pass to enter and leave the prison during this time effectively leaving him free, and adding weight to the charge that the attack was engineered by state security. While the UN celebrates the Castro regime's treatment of women this is what is happening in Castro's Cuba today. On the day of the attack Osmany Carrión told her that he would decapitate her and that he would not spend much, if any, time in prison for what he had done to her and the Castro regime has made that prediction a reality. Meanwhile artists and musicians languish in prison for their artwork and lyrics. Meet Danilo Maldonaldo Machado, popularly known as El Sexto. 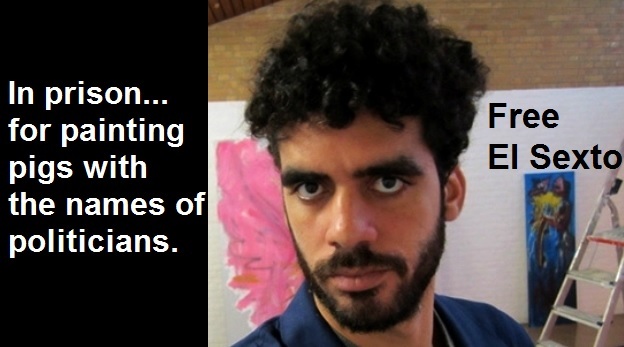 Danilo is a Cuban graffiti artist who campaigns for human rights through artistic work. He’s now in prison without charge for peacefully exercising his freedom of expression. 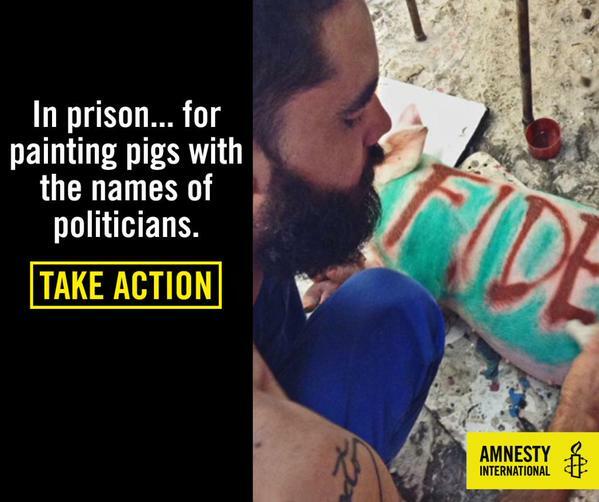 In 2014 Danilo was arrested by Cuban police for transporting two pigs to an art show with the names of Cuban leaders – ‘Raúl’ and ‘Fidel’ – painted on them. Officials accused Danilo of “aggravated contempt”, claiming that painting the pigs disrespected the Cuban leaders of the Revolution. Danilo was then imprisoned under the country’s harsh laws. This is an attack on freedom of expression and an attempt to silence political criticism. Danilo continues to fight for freedom. He participated in two hunger strikes which were both cut short after officials allegedly assured him that he’d be released. This wasn’t the case. Danilo remains in prison and needs your help. Danilo’s mother has asked Amnesty to help her son. Please stand up and demand his freedom. 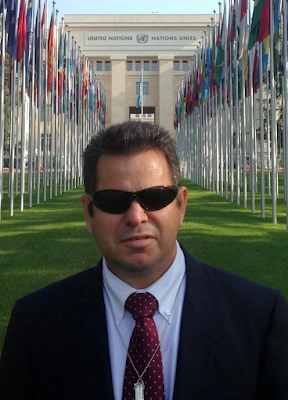 The good news is that Danilo Maldonado's plight is resonating in the press with reports in the BBC, and the Amnesty International campaign for his release. The bad news is that this is the tip of the iceberg with more than 300 arrests this past Sunday and three activists still jailed for addressing Pope Francis last month. Not to mention that Danilo is not the only artist behind bars in Cuba. 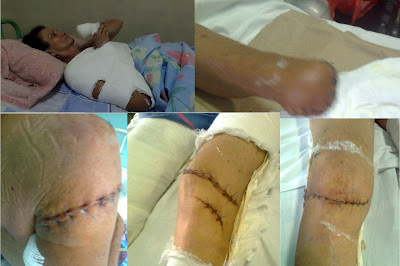 It is of great importance not only to raise your voice for Cuba's prisoners of conscience but also for Cuba's dissidents who have been the victims of regime violence such as Sirley Ávila León who was the victim of a regime orchestrated machete attack on May 24, 2015 that led to the loss of her left hand and crippling machete blows to her right arm and both knees. There have been other attacks prior to this one targeting opposition activists. Lastly, it is important to raise you voice and demand truth and justice in the extrajudicial killings of nonviolent activists such as Oswaldo Payá Sardiñas and Harold Cepero Escalante who were targeted and murdered by state security on July 22, 2012. Four years ago today Cuban opposition leader and human rights defender Laura Pollán died under circumstances which Dr. Oscar Elias Biscet described as "death by purposeful medical neglect." Laura Inés Pollán Toledo was a courageous woman who spoke truth to power and protested in the streets of Cuba demanding an amnesty for Cuban political prisoners. A woman who had been a school teacher, before her husband was jailed for his independent journalism in 2003. Laura was a figure greatly admired both inside and outside of Cuba. However when one dissents from the dictatorship in Cuba not only is their physical life in danger but their reputation is systematically slandered. 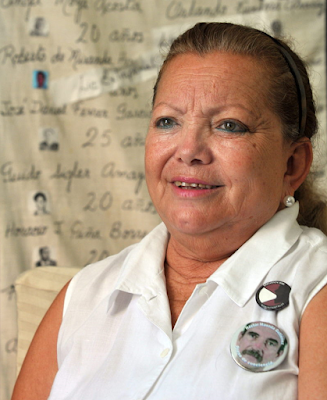 The Castro regime claimed that she was a stateless "traitor." She became ill and died within the space of a week under circumstances that raise the question of foul play by the Castro regime. Following her death the dictatorship's official media began a campaign asserting that she was a common criminal. Laura Pollán became a dissident when her husband was imprisoned during the Black Cuban Spring of 2003 along with more than 75 other activists and civil society members. She was one of the founders of the Ladies in White and challenged the Castro regime on the streets of Cuba. Following brutal repression in an effort to prevent them from marching through the streets of Havana Laura Pollan directly and nonviolently challenged the regime: "We will never give up our protest. The authorities have three options — free our husbands, imprison us or kill us. Unfortunately beginning in 2010 a new and deadlier pattern of oppression presented itself with the extrajudicial death of Orlando Zapata Tamayo. Today let us remember that Laura practiced what she preached and that was nonviolent resistance to tyranny. In just seven days on October 21st the world will observe the 90th anniversary of the birth in Havana, Cuba of Úrsula Hilaria Celia de la Caridad Cruz Alfonso better known as Celia Cruz. Last night Telemundo aired the first of an 80 part - novela of the life of the woman who would become known as the Queen of Salsa and "La Guarachera de Cuba". The first episode is available online. She is recognized around the world as an icon of music and in 2013 Google honored Celia on the 88th anniversary of her birth with a Google Doodle. In 2010 the United States Postal Service issued a postage stamp in her honor describing the Cuban artist as follows. "A dazzling performer of many genres of Afro-Caribbean music, Celia Cruz (1925-2003) had a powerful contralto voice and a joyful, charismatic personality that endeared her to fans from different nationalities and across generations. Settling in the United States following the Cuban revolution, the “Queen of Salsa” performed for more than five decades and recorded more than 50 albums." 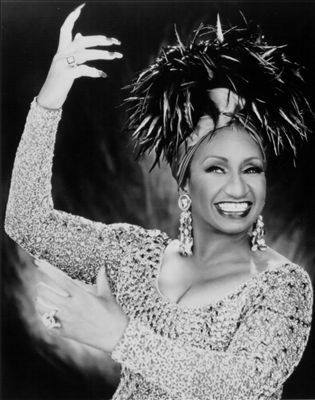 However in Cuba the Castro regime continues to ban the music of Celia Cruz from the radio airwaves. She is not alone. There are other banned Cuban musicians of great importance. According to Shoot the singer! : music censorship today, a book edited by Marie Korpe states that there is increasing concern within the international music community that post-revolution generations are growing up without knowing or hearing these censored musicians and that this could lead to a loss of Cuban identity in future generations.The phrase cultural genocide is used to describe the "cultural revolution" of the 1960s and 1970s that blacklisted and censored scores of Cuban musicians and artists. The above censorship is widely known, but not as well known is that when the mother of Celia Cruz was dying the Cuban musical icon was blocked by Fidel Castro from returning to Cuba to say goodbye to her mom or attend her funeral afterwards. This practice still goes on today with Cuban dissidents in the diaspora barred arbitrarily from seeing their loved ones by the Castro regime. Cuba under the Castros remains a totalitarian regime that has maintained a level of inflexibility that even 12 years after her death in 2003 and with relations "normalized" with the United States continues to censor the music of Celia Cruz. 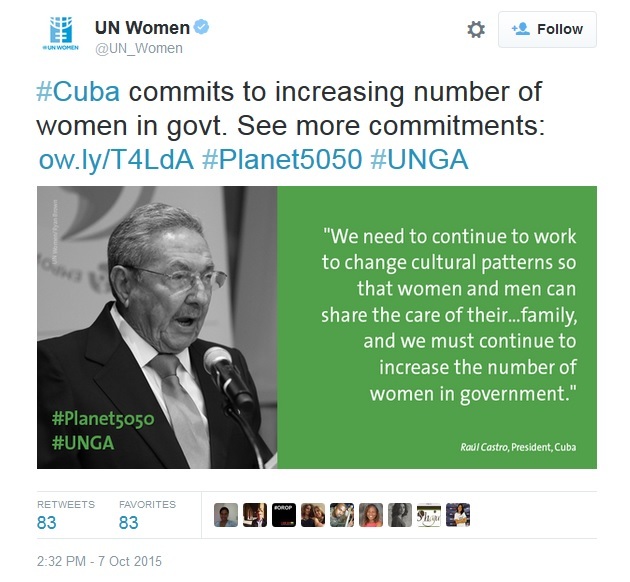 Women who think and speak freely in Cuba still suffer horrible consequences. Hopefully that will soon change. In the meantime Celia's music and her legacy live on in Cuba on cassette tapes, CDs, DVDs, and USBs circulating in the Cuban underground. This blog entry taken from Panam Post Blog. The Castro regime has a record that stretches back decades of threatening, brutalizing and murdering women who speak their minds and demand that human rights be respected in Cuba. Back on September 17, 2013 Panam Post published an OpEd explaining how the Castro brothers get a pass for terrorizing and killing women. Unfortunately the situation has gotten worse and since the December 17, 2014 announcement of normalized relations between Cuba and the United States has been accompanied by new accounts of regime violence against women in Cuba that have escalated in severity while at the same time the international community has been complicit in its silence. Sirley Ávila León, an ex-delegate of the People’s Assembly (Poder Popular) of Majibacoa who joined the democratic opposition after she was driven out of her position trying to keep a school open in her community. Official channels ignored her and when she went to the international media she was removed from office. Following escalating acts of repression by state security the mother of two, Sirley Ávila León, age 56, was gravely wounded in a machete attack on May 24, 2015 at 3:00pm by Osmany Carrión who had been "sent by state security thugs" and that the aggression "was politically motivated." She suffered deep cuts to her neck and knees, lost her left hand and could still lose her right arm. Although Carrión was the principle assailant, his wife threw her hand into the mud compounding the injury. It was a coordinated attack. Sirley was sent home in this critical state without the proper medication. Five months later she remains in need of medical attention, completely incapacitated, demanding justice and denouncing irregularities in the judicial process against her assailant. On September 2, 2015, the Inter-American Commission on Human Rights requested the adoption of precautionary measures for Sirley Ávila León. "According to the application, submitted to the Commission by the Cuban Democratic Directorate, Ávila has been the object of harassment and threats that materialized in May of 2015, when the proposed beneficiary was the victim of a machete attack because of her work as a defender of human rights. After analyzing the allegations of fact and law submitted by the applicant, the Commission considers that the information reveals that Sirley Ávila León is in a serious and urgent situation, since her life and physical integrity are at risk." This ignores that the government in Cuba is a totalitarian dictatorship in which the rule of law is non-existent and that since 1959 the ultimate authority has resided in two brothers: Fidel and Raul Castro. Women in Cuban government structures have no real power other than to rubber stamp the decisions of the Castro brothers or face the consequences. UN Women should be helping women like Sirley Ávila León not legitimizing their oppressors. On Sunday, October 11, 2015 over 300 nonviolent Cuban dissidents were arrested in Cuba, many of them violently. They were arrested for peacefully calling for the release of Cuba's political prisoners and in particular three Cuban dissidents who remain jailed for approaching Pope Francis and calling attention to the real and ongoing problems in Cuba that the dictatorship would like covered up. Below is the called made by Cuban opposition leader José Daniel Ferrer García calling on people of good will to demand their release and not remain silent. May the conscience of good people not be numbed. SOS Three innocent lives at risk in Cuba. This call for help for the lives of three humble and nonviolent Cubans is addressed to Pope Francis, to the governments of the free world, to organizations defending human rights and all people of good will. On the morning of Sunday September 20th, within minutes from the start of the first Mass by Pope Francis in Cuba, three residents of Calabazar village in the Cuban capital, with Biblical names and members of a cell of the pro-democracy organization Patriotic Union of Cuba, UNPACU, named “Felix Varela” passed through Security rings without hurting anyone and approached the Bishop of Rome with the intention of calling attention to the things that make our country a hell for the lives of most Cubans. Zaqueo Baez Guerrero, Ismael Bonet Rene and the outstanding Lady in White Maria Josefa Acón Sardiñas, wanted the Supreme Pontiff, the foreign press, and through this, the world, to know that in Cuba there are political prisoners who survive in subhuman conditions, that we live under a harsh dictatorship that tramples the rights and fundamental freedoms of human beings, and that the repressive forces beat nonviolent women and men who just dream about a fraternal, fair, democratic and prosperous Cuba. These three good Cubans, Zaqueo, Ismael and Maria, are on hunger strike as of Sunday September 20th, and later also of thirst, in the infamous center for “investigations” at Aldabó and 100th Street in Havana. They are accused of assault, disrespect, public disorder and resistance. Their lives are in grave danger. With their strike they are sending a clear message: they are not willing to serve prison time for an action to which they were compelled by the criminal methods of the Castro regime and the indifferent attitude towards the suffering of the victims of repression displayed by institutions and personalities that have a sacred duty to condemn abuses, all affronts to human dignity, and to always be “good Samaritans”. We had also written to the Cuban Bishops in order to inform them on the brutal beatings and even torture against nonviolent human rights defenders. The same day of the arrival of the Successor of Peter to Havana, many dissidents were surrounded, and that same evening Berta Soler, Martha Beatriz Roque and Miriam Leyva were arrested. The three had been invited by the Church to be among those who would welcome the Argentinian Pope on his arrival in the Nunciature. All this was convincing Zaqueo, Maria and Ismael that there was no choice: They had to raise the cry of an enslaved people in that square. Zacchaeus and his wife Mary received permanent surveillance since the day before, only the correctness of their intention, and perhaps their biblical names and that of the UNPACU cell they belong to (Felix Varela), could make it possible for them to avoid so many agents of the secret political police and get to Francis on that Sunday morning. Gallant Zaqueo rose to reach the representative of Christ, of whom he had heard was a fair man, concerned about the persecuted and oppressed of the earth. Mary, like the mother of Jesus, suffered long ago the Stations of the Cross of her people, her sisters the Ladies in White and her own. Countless are the arbitrary arrests, beatings and other forms of cruel and inhumane treatment. Ishmael, like Abraham’s son, knows what it means to wander in the wilderness, be expelled, to live without rights, so he thought he should overcome the fear that paralyzes, (John Paul II told us: Do not be afraid), and that Sunday to do for his country what he had never done and we all should do. Ismael thought, God will hear me. The preamble of the Universal Declaration of Human Rights reads: “Whereas it is essential that human rights should be protected by the rule of law, so that man is not compelled to have recourse to rebellion against tyranny and oppression.” In Cuba we have a regime that blatantly and cynically violates the civil and political rights, but also economic, social and cultural rights. The Castro regime’s abuses committed against the people are more than enough for Cubans to rebel against injustice. Cuban democrats are people of peace convinced that violence is never the best solution, so we persevere in our nonviolent struggle in the midst of hatred and brutal repression. Zaqueo, Maria and Ismael wanted (and succeeded in doing so, and all Cubans are indebted to them), to draw attention to our difficult reality. A complex reality that when a healthy solution is not sought in time, ends fatally producing extreme situations like the one we see today in Syria. Situations that the Pope, and all people of good will, rightly condemn. Zaqueo, Maria and Ismael gave a prophetic cry, alerted everyone and told us with their action: It’s okay to rejoice with the process of normalization of relations between the US government and the Cuban regime, but do not forget the victims of violations of human rights, nor harbor any illusion that only that process will end the suffering of an oppressed people. Zaqueo, Maria and Ismael were arrested before Pope Francis and before several television cameras. The images were seen around the world. Now they have undergone 11 days on hunger strike and 6 without consuming water. Dozens of nonviolent activists are now victims of repressive actions for demanding their release. We fear for their lives. Therefore this SOS, is aimed at every person of good will. SOS por tres vidas inocentes que corren grave peligro en Cuba. Este pedido de auxilio por las vidas de tres humildes y pacíficos cubanos va dirigido al Papa Francisco, a gobiernos del mundo libre, a organizaciones defensoras de los derechos humanos y a toda persona de buena voluntad. En la mañana del pasado domingo 20 de septiembre, cuando apenas faltaban minutos para el inicio de la primera misa del Papa Francisco en Cuba, tres ciudadanos vecinos del poblado de Calabazar, en la Capital cubana, con nombres bíblicos y miembros de una Célula de la organización prodemocrática Unión Patriótica de Cuba, UNPACU, que lleva por nombre “Félix Varela”, franquearon los anillos de seguridad sin dañar a nadie y se acercaron al Obispo de Roma con la intención de llamar la atención sobre las cosas que hacen de nuestra patria un infierno para la vida de la mayoría de los cubanos. Zaqueo Báez Guerrero, Ismael Bonet Reñé y la también destacada Dama de Blanco María Josefa Acón Sardiñas, querían que el Sumo Pontífice, la prensa extranjera, y a través de ésta, el mundo, supiesen que en Cuba sí hay presos políticos y que sobreviven en condiciones infrahumanas, que vivimos bajo una férrea dictadura que pisotea los derechos y libertades fundamentales del ser humano, que las fuerzas represivas golpean a mujeres y hombres pacíficos que solo sueñan con una Cuba fraterna, justa, democrática y próspera. Estos tres buenos cubanos: Zaqueo, Ismael y María, desde el domingo 20 de septiembre se encuentran en huelga de hambre, y después también de sed, en el tristemente célebre centro de “investigaciones” de 100 y Aldabó, en La Habana. Los acusan de Atentado, Desacato, Desorden Público y Resistencia. Sus vidas corren grave peligro. Con la huelga envían un claro mensaje, no están dispuestos a cumplir prisión por una acción a la que se vieron compelidos por el criminal actuar del régimen de los Castro y por la indiferente postura ante el sufrimiento de las víctimas de la represión, de instituciones y personalidades que tienen el sagrado deber de condenar todo abuso, todo atentado contra la dignidad humana, y ser siempre “buenos samaritanos”. También habíamos escrito a los Obispos cubanos con la intención de informarles sobre brutales golpizas y hasta torturas contra pacíficos defensores de los derechos humanos. El mismo día de la llegada del Sucesor de Pedro a La Habana, se cerraron los cercos entorno a muchos disidentes y esa misma tarde eran detenidas Berta Soler, Martha Beatriz Roque y Mirian Leyva. Las tres invitadas por la Iglesia a estar entre las personas que darían la bienvenida al Papa argentino a su llegada a la Nunciatura. Todo esto fue convenciendo a Zaqueo, María e Ismael de que no había otra opción: Tenían que alzar el clamor de un pueblo esclavo en aquella plaza. Zaqueo y su esposa María tenían vigilancia permanente desde el día anterior, solo la justeza de su intención, y quizás sus nombres bíblicos y el de la Célula de la UNPACU a la que pertenecen (Félix Varela), pudieron hacer posible que burlaran a tantos agentes de la policía política secreta y llegaran hasta Francisco aquella mañana dominical. El noble Zaqueo se elevó para llegar al representante de Cristo de quien había oído que era un hombre justo preocupado por los perseguidos y oprimidos de la tierra. María, como la madre de Jesús, sufre hace mucho tiempo por el Vía Crucis de su pueblo, de sus hermanas Damas de Blanco y por el suyo propio. Incontables son las detenciones arbitrarias, las golpizas y otros tratos crueles e inhumanos de los que ha sido objeto. Ismael, como el hijo de Abraham, sabe lo que significa vagar por el desierto, ser expulsado, vivir sin derechos, por eso pensó que debía vencer el miedo que paraliza (Juan Pablo II nos decía: No tengan miedo), y ese domingo hacer por su patria lo que nunca había hecho y todos debíamos hacer. Ismael pensó: Dios me escuchará. En el preámbulo de la Declaración Universal de los Derechos Humanos podemos leer: “Considerando esencial que los derechos humanos sean protegidos por un régimen de Derecho, a fin de que el hombre no se vea compelido al supremo recurso de la rebelión contra la tiranía y la opresión;”. En Cuba tenemos un régimen que viola flagrante y cínicamente derechos civiles y políticos, pero también derechos económicos, sociales y culturales. Los abusos que el régimen castrista comete contra el pueblo son más que suficientes para que los cubanos nos rebelemos contra la injusticia. Los demócratas cubanos somos personas de paz convencidos de que la violencia no es nunca la mejor solución, por eso perseveramos en nuestra lucha pacífica en medio del odio y de brutal represión. Zaqueo, María e Ismael quisieron (y lo consiguieron y por eso todos los cubanos estamos en deuda con ellos), llamar la atención sobre nuestra difícil realidad. Compleja realidad que cuando no se busca sana solución a tiempo, termina fatalmente produciendo situaciones extremas como la que vemos hoy en Siria. Situaciones que con toda razón el Papa, y toda persona de bien, condena. Zaqueo, María e Ismael dieron un grito profético, alertaron a todos, nos dijeron con su acción: Está bien que nos alegremos con el proceso de normalización de relaciones entre el gobierno de EEUU y el régimen cubano, pero no se olviden de las víctimas de las violaciones a los derechos humanos, ni se ilusionen con que solo dicho proceso va a poner fin al sufrimiento de un pueblo oprimido. Zaqueo, María e Ismael fueron detenidos delante del Papa Francisco y ante varias cámaras de televisión. Las imágenes dieron la vuelta al planeta. Hoy cumplen 11 días en huelga de hambre y 6 sin consumir agua. Varias decenas de activistas pacíficos vienen resultando víctimas de acciones represivas por reclamar su liberación. Tememos por sus vidas. Por eso este SOS, dirigido a toda persona de bien. Coordinador General de la Unión Patriótica de Cuba. (UNPACU). La Habana, 1 de octubre de 2015.